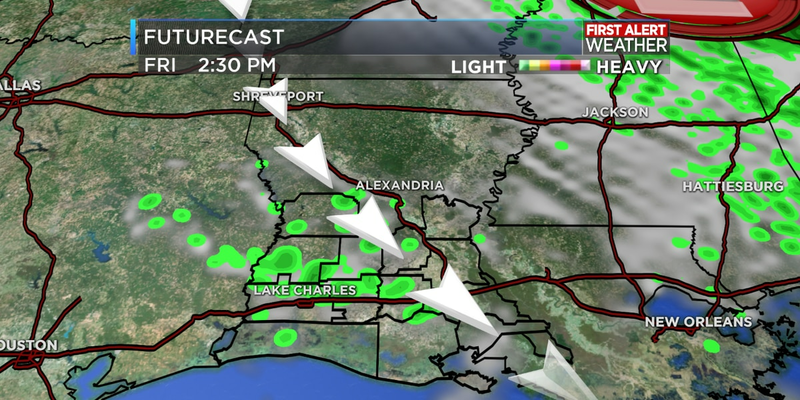 LAKE CHARLES, LA (KPLC) - With the last of the overnight rain now east of the area for the morning commute, you’ll notice the sidewalks and roads a bit damp from earlier morning showers. This rain was associated with a cold front and is quickly on the exit this morning as temperatures start off slightly cooler in the 50s to lower 60s. You may want a light jacket as you head out as the damp air will make it feel a little cooler than on a normal day with temperatures in this range. 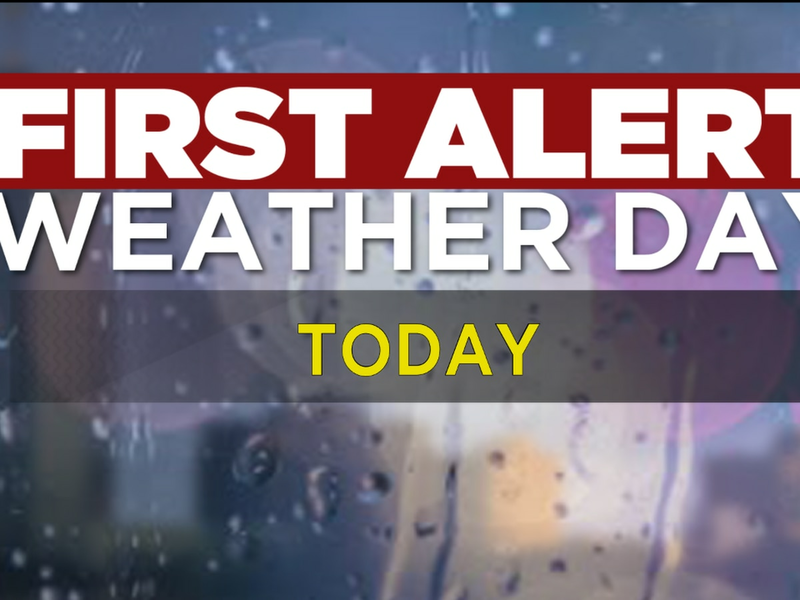 The good news for today is most of rain has already fallen and will only return as a few stray showers this afternoon and evening with your Friday certainly not a washout. You’ll want to keep an umbrella though as a shower could pop up at any point this afternoon including the evening if your plans are outdoors, although there is no guarantee you’ll get rained on. Highs today will likely only reach the upper 70s with temperatures tonight a bit milder as southerly winds keep humidity high and lows in the upper 60s. 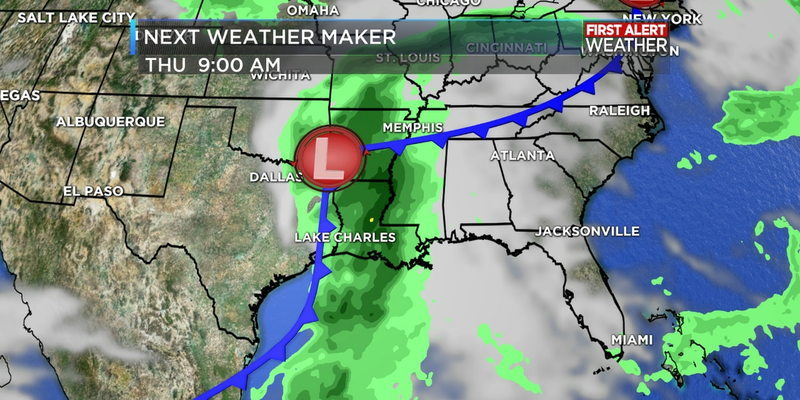 We’re still on track for what looks like a threat for some severe weather on Saturday as an area of low pressure deepens over the ArkLaTex region and pushes a cold front into the area by Saturday evening. Storms could begin by afternoon and continue into the evening, exiting before midnight. 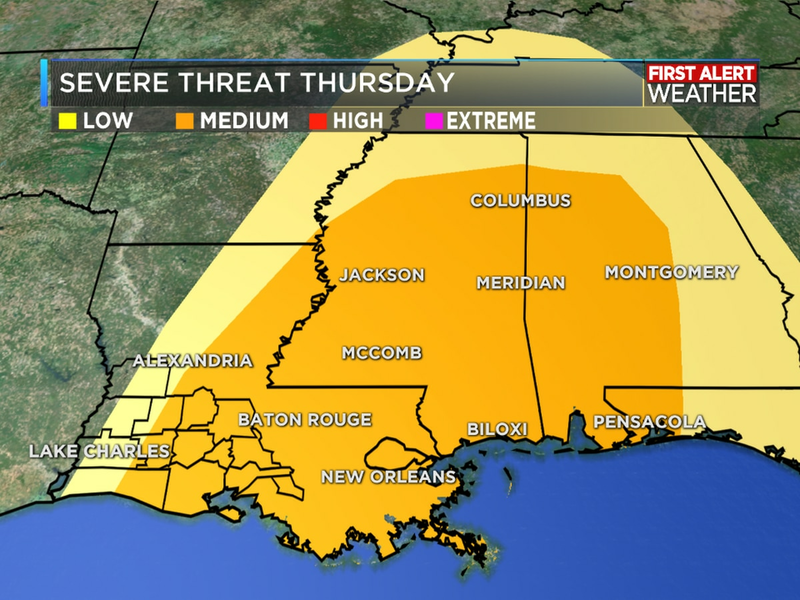 Storms will be capable of all modes of severe weather including damaging winds, hail, flash flooding and a spin-up tornado. 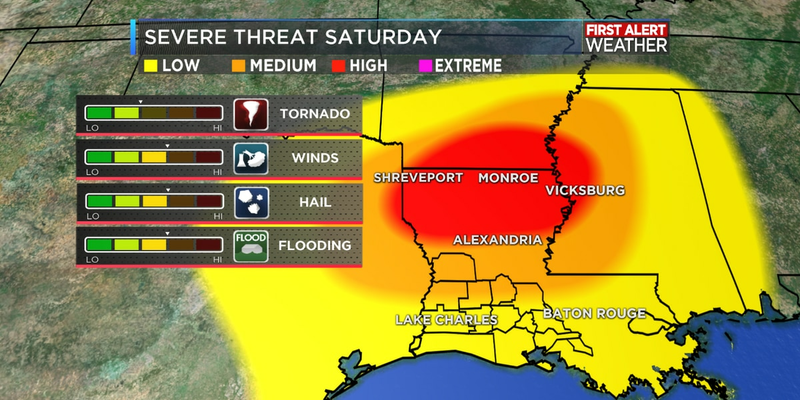 Continue to follow us on-air, online and on our mobile apps for updates on this developing weather situation Saturday and have a severe weather plan in place in case you need to take shelter tomorrow. 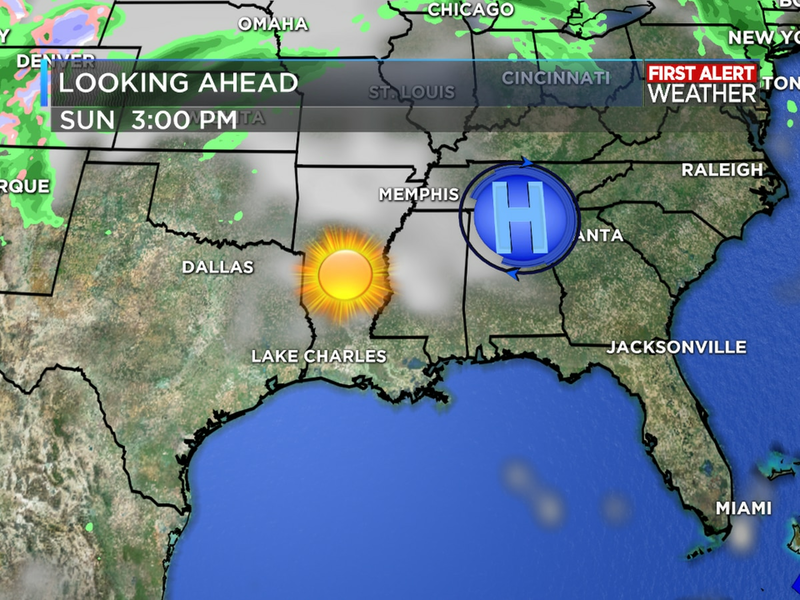 The front will quickly move east by Sunday with sunshine on the return and afternoon highs around 70. Lows Sunday night take a nice dip into the upper 40s with a very pleasant start to next week. Our next weather system to impact our area beyond this weekend looks to be by next Wednesday and Thursday as yet another cold front will move through. The main issue again will be timing as one model shows the bulk of the rain and front arriving on Wednesday while the other is more-so keeping the bulk of the rain on Thursday with the front moving through then. Regardless of the solution the consensus is for a nice drier forecast by next weekend, breaking this stormy cycle of weekend storm systems next week.